Only for those who have 2080/2080TI! Region activation: all world (except China). World War 2 as you´ve never seen it before. Get ready to immerse yourself in iconic World War 2 action - from paratrooper assaults to tank warfare. Charge into pivotal battles in the early days of the war for an experience unlike any other. This isn´t the World War 2 you´ve come to expect - this is Battlefield V.
- Your journey through the world of Battlefield V starts with your Company - where every soldier is unique. Create and customize soldiers, weapons, and vehicles, from the way they look to how they play. - Utilize the battlefield in new and unexpected ways to lead your squad to victory. Build fortifications, repair war-torn structures or tow stationary weapons to maximize their devastating firepower. - Beginning with the Fall of Europe, your Company of soldiers will take their first steps on a grand and evolving journey. 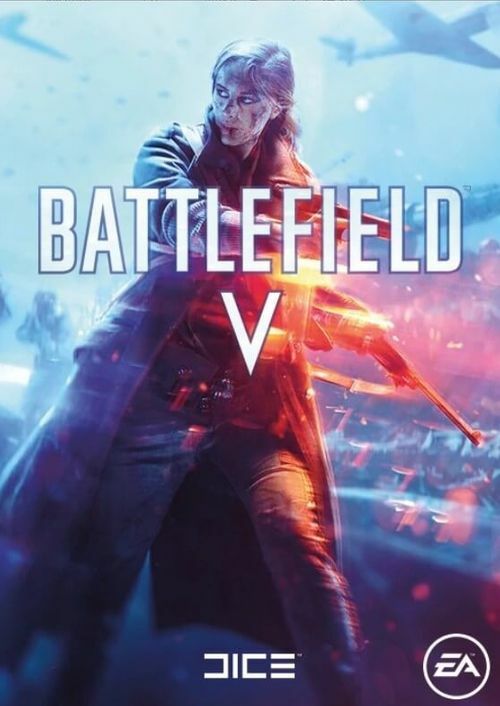 Progress further into mankind´s greatest conflict with new battles, fronts, narratives and rewards ahead for Battlefield V players. 6. Follow the remaining instructions on screen. If applicable, you may be prompted to log in to a digital store account where your game will be received, such as Steam or Origin.